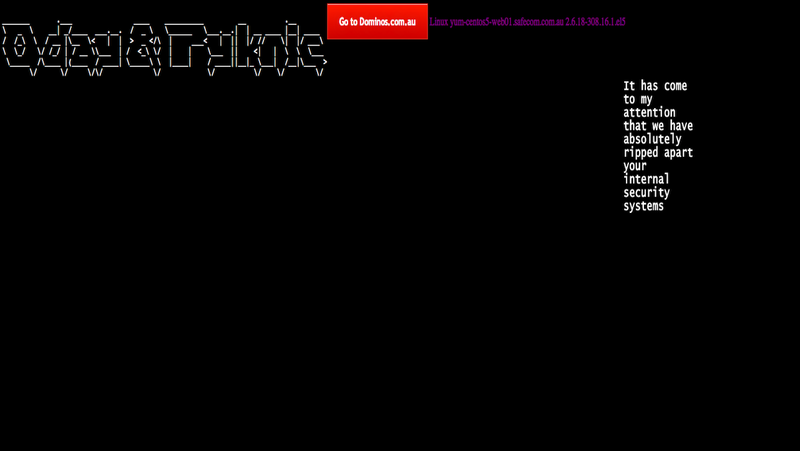 Yesterday Australian Pizza Hut website was hacked by a hacking group "0-Day" and "Pyknic". Hackers defaced the website and claim that they have stole 260,000 Australian credit card numbers. But a Pizza Hut spokeswoman said they did not store any information related to Credit cards on its website. "Pizza Hut can confirm that a layer of its website, pizzahut.com.au, was breached with access gained to names and contact information, including email addresses". "The security of our online ordering system has not been compromised in any way and our customers can continue to order online in the knowledge the ordering system is secure."